Why is Blizzard removing the Mage Tower appearance? NEXT | How will you choose your Battle for Azeroth main? Recently, the players learned the Artifact appearance from completing a Mythic +15 keystone would be available in Battle for Azeroth. The only appearance going away will be the Mage Tower. To quote the Ryan Reynolds meme, but why? The developers weighed in with their reasoning. The Mage Tower appearance will be akin to the Legendary Cloaks and other legendary quest lines from recent expansions, wherein it will serve as a badge of honor from Legion saying “I was here” and “I did this”. I personally think trying to keep the Mage Tower challenge balanced and up-to-date would be a bit of a distraction from current content, and it’s probably not something the development team would want to devote time to. I’d much rather the development team focus on Battle for Azeroth content, and make something like Mage Tower again in the future when the timing is right. These rewards act as souvenirs and signposts from expansion to expansion. But do the rewards live up to the challenge of getting them? It’s revealing that Ornyx brings up the Legendary cloak from Mists of Pandaria. After a short break during Throne of Thunder, I returned to World of Warcraft late in Mists. When I learned of the Legendary cloak and its time-limited nature, it spurred me to two actions. One, I resubscribed to WoW much sooner than I otherwise would have. Second, it provided a powerful motivator and tangible goal for my playtime as Warlords of Draenor approached. Both of these are benefits for Blizzard. While it’s true that time-limited content isn’t anything new, it’s something that’s changed over time. I got my Rhok’delar the night before the Cataclysm prepatch, and today it’s out of players’ reach. But right now now I could go to Molten Core to try to get the Bindings of the Windseeker or Sunwell for Thori’dal or Black Temple for the Warglaives of Azzinoth. Some of these rare items are more rare than others… but does their rarity make them feel special? Is time-limited content really a badge of honor? 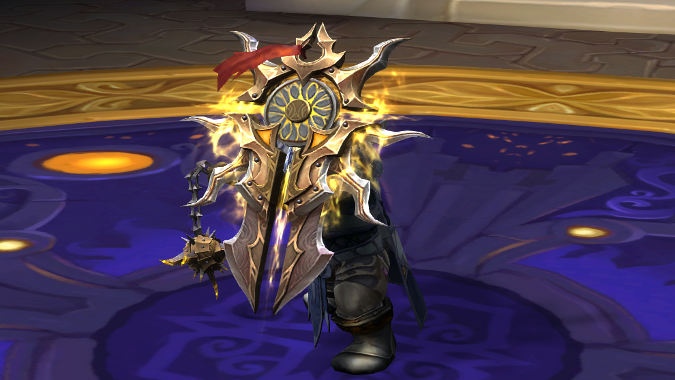 Mists was two expansions ago, and the most use I’ve gotten out of the Legendary cloak since is a couple of transmogs. And when I do use it, few players recognize it for it is. Even today, at the end of Legion, I don’t get many comments on my Mage Tower appearance. If you don’t play the class or keep up with external sites like Blizzard Watch, you might not even know what the challenge appearances look like. 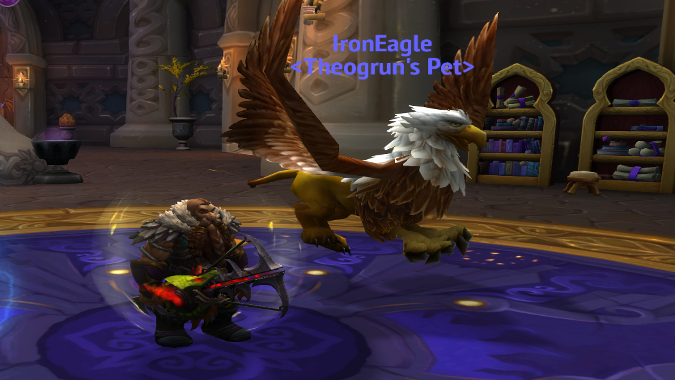 I could group with a Warlock tomorrow who had his Mage Tower appearance and I’d be clueless. While I’ll look on my Mage Tower appearances with pride, it isn’t much of a badge of honor if no one recognizes it. Could Blizzard keep challenges balanced? Ornyx talks about the effort to keep the Mage Tower balanced and up-to-date. One solution would be to use a Herald of the Titans type system where the challenge had to be completed with a certain item level. It would not surprise me if the targeted item level was lower than what many players are using today to beat the Mage Tower. But item levels can’t compensate for changes to class mechanics. In Battle, and every subsequent expansion, classes will get their abilities changed. Some would trivialize the challenge, but others would make it harder. In Battle, tanks will be more vulnerable to magic damage since most of their active mitigation abilities give them armor rather than damage reduction. The first phase of the current tank challenge has the players fighting Inquisitor Variss. All of his attacks deal magic damage. This wouldn’t require a simple rebalancing — you’d have to redesign the whole fight. While it’s true players can get the +15 achievement in Battle, we’ve learned it will more difficult. Instead of a single +15 dungeon, players will have to complete every Battle dungeon at +15. While it’s a lesser-known challenge, there’s also been no word on if the challenge tame for Fenryr in the Halls of Valor will still be obtainable in Battle. So what camp are you in? Do you prefer exclusive content that shows off your accomplishments? Or would you rather the challenge to continue, so dedicated players in the future can earn the same rewards?